Use the 12 hour and 24 hour clock correctly. List the key facts involved in time and calendar (including the number of days in each month). Explain what leap years are and when they occur. Convert between hours, minutes and seconds. Calculate how long it is between to times or dates. 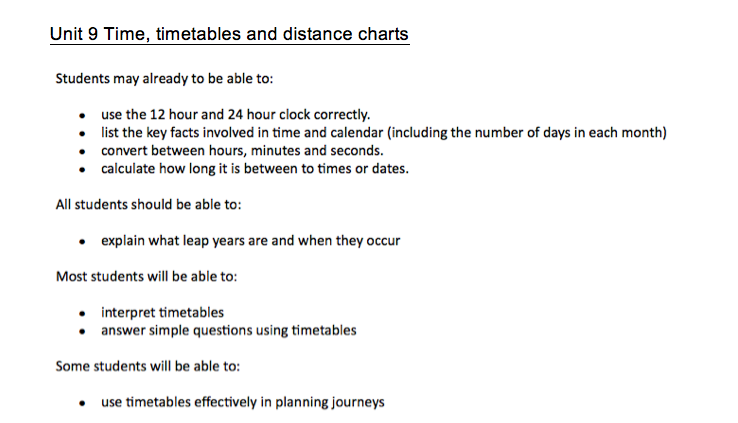 Interpret timetables, answer simple questions using timetables and use timetables effectively in planning journeys.